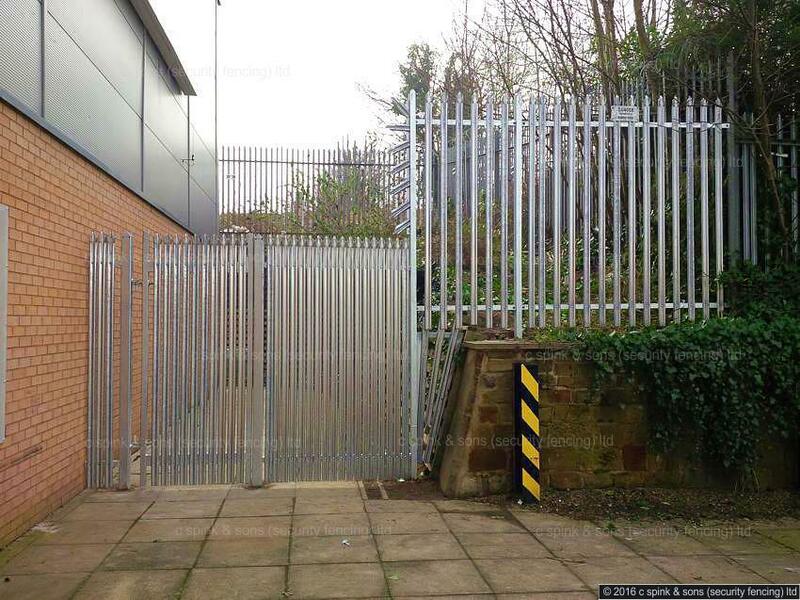 2400mm high galvanised steel palisade fencing and access gate. Pales are closed spaced to prevent access to the emergency gate release lock. A small quadrant has been secured where the fence steps in height. © 2015 - 2019 Charles Spink & Sons (Security Fencing) Ltd.